There's nothing worse than reaching into your drawer or supply room for a replacement box of staples and find that you ran out. So make sure to stock up now! Here we have a wide variety of staples-choose from supplies from different brands, for various sheet capacities and in different colors. Standard 1/4" staples can bind together up to 25 sheets. However, there are also heavy duty staples, which can handle between 50 and 200 sheets. Or if you want to add a splash of color with our variety pack of colored supplies. Stock up today! 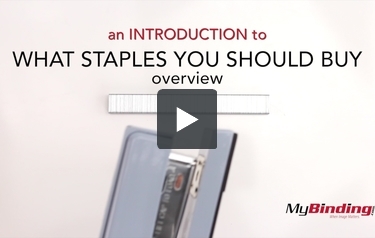 What Staples you Should Buy?